Baby blue, baby! 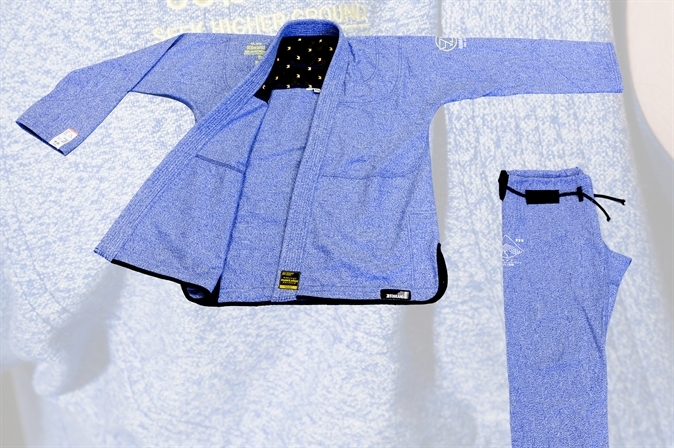 The small batch heather blue "Gold Label" BJJ Gi by 93brand is back in a new colorway and updated design. Q. Nogi guys: "Check out my funky spats bro!!!" Gi guys: "Hold my beer. Let me show you my new gi I just got"
A. Nogi guys: "Check out my funky spats bro!!!" Gi guys: "Hold my beer. Let me show you my new gi I just got"
Comment. Nogi guys: "Check out my funky spats bro!!!" Gi guys: "Hold my beer. Let me show you my new gi I just got"
Q. Had mine for 2 years. No issues. All zipper still work and no rips. A. Had mine for 2 years. No issues. All zipper still work and no rips. Comment. Had mine for 2 years. No issues. All zipper still work and no rips. Nogi guys: "Check out my funky spats bro!!!" Gi guys: "Hold my beer. Let me show you my new gi I just got"
Q. Should've waited for this. Never heard of a bamboo Gi. I do have bamboo clothes and they're super soft and thin and doesn't shrink. It also doesn't stink, . . .
A. Should've waited for this. Never heard of a bamboo Gi. I do have bamboo clothes and they're super soft and thin and doesn't shrink. It also doesn't stink, . . . Comment. Should've waited for this. Never heard of a bamboo Gi. I do have bamboo clothes and they're super soft and thin and doesn't shrink. It also doesn't stink, . . .
Q. Thank you. I appreciate your help! A. Thank you. I appreciate your help! Comment. Thank you. I appreciate your help! One of the fellas at my gym wore this just the other day. I thought he was wearing pajamas, and they sure did feel like pj's. Q. absolutely love 93brand. . .
A. absolutely love 93brand. . . Comment. absolutely love 93brand. . .
I’m 5’6” and 134lbs with a slim upper body and thicker lower body. Dont want the bottoms to be too tight, but i like a more fitted gi. Which size would be best? Q. Dear All Jiujitsu Companies, Please stop trying to make Jiujitsu pants a thing....no one wants this to be a thing. 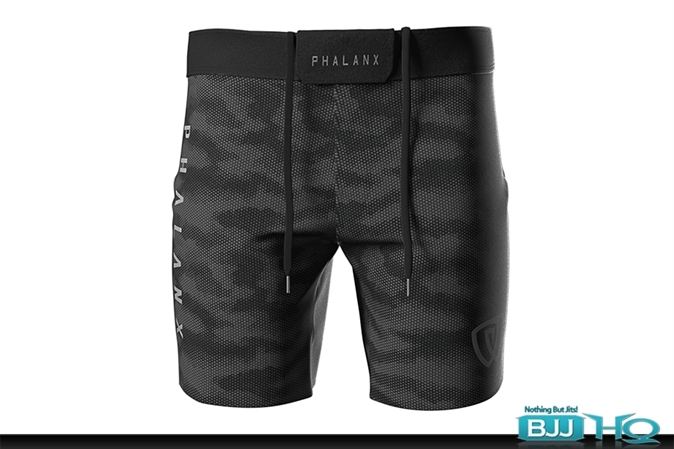 A. Dear All Jiujitsu Companies, Please stop trying to make Jiujitsu pants a thing....no one wants this to be a thing. Comment. Dear All Jiujitsu Companies, Please stop trying to make Jiujitsu pants a thing....no one wants this to be a thing. Q. Scratch that...didn't see the end part of the description details. My bad. A. Scratch that...didn't see the end part of the description details. My bad. Comment. Scratch that...didn't see the end part of the description details. My bad. Q. Can anyone tell me if these shirts fit similarly to any other brand t-shirts, like a 93Brand or something else? A. Can anyone tell me if these shirts fit similarly to any other brand t-shirts, like a 93Brand or something else? Comment. Can anyone tell me if these shirts fit similarly to any other brand t-shirts, like a 93Brand or something else? Not much honestly. And the sleeves are reinforced with a regular (non marl) fabric to ensure that it has added strength where needed. Q. I will wait for the gray/black version. A. I will wait for the gray/black version. Comment. I will wait for the gray/black version. Q. Doubled up on my order this time. Hands down my favorite bar of soap. I didn. . .
A. Doubled up on my order this time. Hands down my favorite bar of soap. I didn. . . Comment. Doubled up on my order this time. Hands down my favorite bar of soap. I didn. . . I will wait for the gray/black version. Q. Im 5. . .
A. Im 5. . . Comment. Im 5. . .
Should i risk it with an a1 or go a2 and just throw it in the dryer a couple times? A2 is probably the best choice. A1 is a better length but the risk of it being too snug due to you being above the weight range... A2 and shrink to fit is my recommendation. Q. 5'5" 145-150 lbs, wrestler build. Always wash cold and hang dry. How's the shrinkage on these? Should I go A1F or A1. Don't want the A1F to shrink . . .
A. 5'5" 145-150 lbs, wrestler build. Always wash cold and hang dry. How's the shrinkage on these? Should I go A1F or A1. Don't want the A1F to shrink . . . Comment. 5'5" 145-150 lbs, wrestler build. Always wash cold and hang dry. How's the shrinkage on these? Should I go A1F or A1. Don't want the A1F to shrink . . .
Q. 150 5'5" Leaner wrestlers build. I always air dry my gis, never machine dry. A1 or A1S? A. 150 5'5" Leaner wrestlers build. I always air dry my gis, never machine dry. A1 or A1S? Comment. 150 5'5" Leaner wrestlers build. I always air dry my gis, never machine dry. A1 or A1S? Q. 5'5" 150lbs. - Wrestling build. What size is suggested? A. 5'5" 150lbs. - Wrestling build. What size is suggested? Comment. 5'5" 150lbs. - Wrestling build. What size is suggested? 5'5" 145-150 lbs, wrestler build. Always wash cold and hang dry. How's the shrinkage on these? Should I go A1F or A1. Don't want the A1F to shrink to become too small. Thanks. A1F would work well for you. If you prefer a looser / relaxed fit, the regular A1 will work. But if you loathe a roomy Gi and like a tailored / fitted type of cut, A1F all day! A1L is best. A1F would be a good choice if you were a little bit shorter, but at 5'11" it's like the A1F would be too short on the sleeves and pants length. Q. This is a really interesting gi...is it available in white or navy blue? What does the community think of the toughness of this? My 93B Hooks V3 has . . .
A. This is a really interesting gi...is it available in white or navy blue? What does the community think of the toughness of this? My 93B Hooks V3 has . . . Comment. This is a really interesting gi...is it available in white or navy blue? What does the community think of the toughness of this? My 93B Hooks V3 has . . .
Q. Most shorts are generally worn around the legs and hips. May not be IBJJF approved if fit elsewhere. A. Most shorts are generally worn around the legs and hips. May not be IBJJF approved if fit elsewhere. Comment. Most shorts are generally worn around the legs and hips. May not be IBJJF approved if fit elsewhere. This is a really interesting gi...is it available in white or navy blue? What does the community think of the toughness of this? My 93B Hooks V3 has held up much better than some of my gis (but the pants feel like I'm wearing a tarp compared to my other gi) but this looks like a much different material. Can anyone tell me about their experience with the material, durability, comfort, shrink, color change, etc? I have the original. It's very thick canvas, like wearing softer blue jeans. It's only in this Marl Blue for this edition. Previous edition was a darker blue. Next edition will likely be a marl / heather style dark grey (almost black) and an all-white muted down version. A1 should be good, unless you have particularly long limbs, in which case I'd say go for A1L. You're around my size and an A1L fits me like a glove. I have a 32" inseam, 5'9", 160lbs. Q. Has been sorted thanks! A. Has been sorted thanks! Comment. Has been sorted thanks! Q. I got charged $20 postage?! Not $15. What's up with that? Amounts to a lot when it's in AUD. A. I got charged $20 postage?! Not $15. What's up with that? Amounts to a lot when it's in AUD. Comment. I got charged $20 postage?! Not $15. What's up with that? Amounts to a lot when it's in AUD.